The Basin Oil Field Tipi Rings (48CA1667) were recorded by personnel from the Office of the Wyoming State Archaeologist in 1982. This was done as part of a cultural resource inventory of a proposed Energy Transportation Systems, Inc. coal slurry pipeline route. 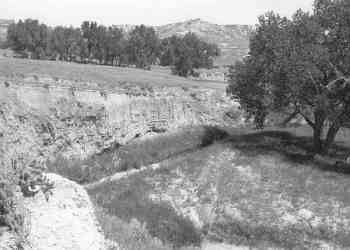 The site is located on the top of a ridge overlooking the confluence of the floodplains of Caballo Creek, the Belle Fourche River and several smaller drainages. It is composed of a dispersed lithic scatter, a concentration of ceramic fragments, and eleven stone features including seven stone circles, one stone cairn, a fire hearth, and two amorphous scatters of cobbles which may be disturbed stone circles. The site represents a Middle Missouri tradition occupation during the Late Prehistoric or Protohistoric Periods. A possible Late Archaic component was also noted. The site contains significant data relevant to two current research issues: 1) the movement into the Powder River Basin of pottery bearing groups of the Middle Missouri tradition, which may have included groups closely related to the Mandan, Hidatsa or Crow; and 2) the functions and cultural associations of stone circles. The Bishop Road Site (48CA1612) was recorded by personnel of the Office of the Wyoming State Archaeologist in May and June of 1982. The site was found during a cultural resource inventory of a proposed route of a Energy Transportation Systems, Inc. coal slurry pipeline. The site is located along the alluvial terraces of Piney Creek and two adjacent unnamed drainages. Surface artifact density for this site area was quite low. However, the presence of cultural materials in cutbanks and higher artifact density in eroded areas, suggests that the bulk of cultural material is located in buried context. A fairly wide range of lithic sources are represented, including cherts, fine-grained quartzites, non-volcanic glass and obsidian. Bone fragments were also fairly abundant. Seven fire hearths were noted, varying in depth from sod level to three meters below the present surface. Temporally diagnostic artifacts recovered during initial inventory included projectile points characteristic of the Late Archaic and Late Prehistoric Periods, and a trade bead indicating a Protohistoric component. Other points may also represent Early and Middle Archaic components. The range of lithic materials found at this site and the presence of hearth features indicate that this was probably a repeatedly revisited camp or village area. The data available at this site can provide significant scientific information about aboriginal settlement patterns, hunter-gatherer subsistence strategies, and aboriginal population movements. The range of possibly stratified components could contribute to a refinement of regional cultural chronologies. In addition, the non-local lithic materials present at this site can contribute to the evaluation of aboriginal lithic technology. The Gillette Post Office is a well-preserved example of a classical revival of the mid-1930s. This building displays a quality of design and craftsmanship that marks the building as one of the finest high style buildings in the county. As one of Gillette's first federal buildings, its construction was a major event in the city. In addition, the post office, which represented the link between the federal government and the local community, acted as a symbol of the federal government. The post office further signified the massive public buildings programs of the 1930s, specifically the Public Works Administration (PWA), that were intended to assist local communities during a period of national economic emergency. This building, eligible under Criteria A and C, is significant to the town of Gillette due to its use of classical design, its representation of the federal government, and the jobs provided during its construction. Constructed in 1935 via the PWA, the post office is a five bay brick building. While the majority of the building is one-story, the façade is two. The post office has a primarily rectangular footprint, a flat roof, sits on a concrete foundation, and is devoid of much ornamentation. Although the interior of the building underwent multiple alterations, the exterior remains relatively intact. Since serving as the local post office, it became City Hall, a restaurant, and is currently under construction for a new retail business. The Gillette Post Office contains some minimal classical elements. The building retains a few classical details in the sandstone pediment, cornices, and keystones. Since construction, the exterior of the post office had few alterations. There are no additions to the building, the windows and front entrance are original, even the rear loading dock still maintains its design and function. 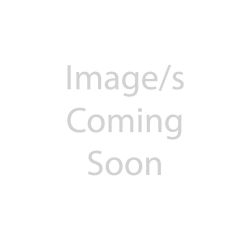 One of the few exterior alterations is the boarding shut of one set of the rear double doors. The integrity of the location, material, design, and craftsmanship are good, even though the setting is slightly altered as downtown of Gillette has changed somewhat over the past 73 years. Although the interior exhibits only a few of the characteristics of the original building, the feeling of the post office is maintained on the exterior. In Gillette, the building not only became a federal presence to the community, it also served as an opportunity for the citizens to interact with the government. Local leaders communicated with the Department of Treasury regarding plans, contractors, size, and design of the building. They also maintained contact with the Wyoming Representatives in Washington D. C. The City of Gillette formally submitted a request of $77,000 for the construction of a new post office building via the PWA program. Congress approved the proposal, but only appropriated $64,000. In April of 1934, a group of local citizens appealed for additional money to complete a full second floor for the building; however, Congress denied Gillette the funds. These same individuals requested U.S. Senator Robert D. Carey to continue the appeal. Beyond the physical building and interaction with the government, the actual construction became an example of the public works programs developed by the federal government. The PWA hoped to promote employment and increase purchasing power through the construction of public works projects. For the 6 April 1935 edition, the News-Record, the local paper, interviewed Louis Blauner, President of the Blauner Construction Company, contracted to build the post office. He stated, ''All labor on the edifice will be furnished by local men as one of the main objects of the government's building of federal buildings is to help each individual community.'' As with the rest of the country, Gillette suffered from the Great Depression and the construction of a new building offered some relief to city residents. The News-Record continually addressed the shortage of work with a nearly daily article discussing the number of jobs available due to government subsidy programs. The Gillette Post Office derives its significance from its impact on the local community during 1934-1935. 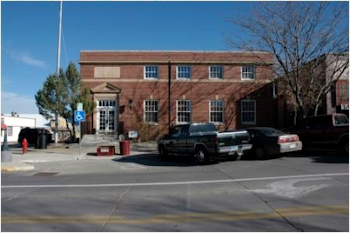 The post office provided an example of designed architecture infrequently seen in an isolated Wyoming town. The building itself offered a tangible representation of the federal government to the small community of Gillette. In addition, its construction provided an influx of money to the local economy and a representation of the programs developed by the federal government, specifically the PWA, to provide jobs. Also known as the Taylor Ranch Segment, the Nine Mile Creek segment of the Bozeman Trail contains among the best ruts still existing along the trail. Paralleling a tributary of the Nine Mile Creek drainage these ruts were in part preserved by the wet conditions surrounding the ephemeral stream which the trail follows.